Scouring around Singapore for Thai food is such an easy feat but to locate an authentic one with reasonably prices is relatively hard. 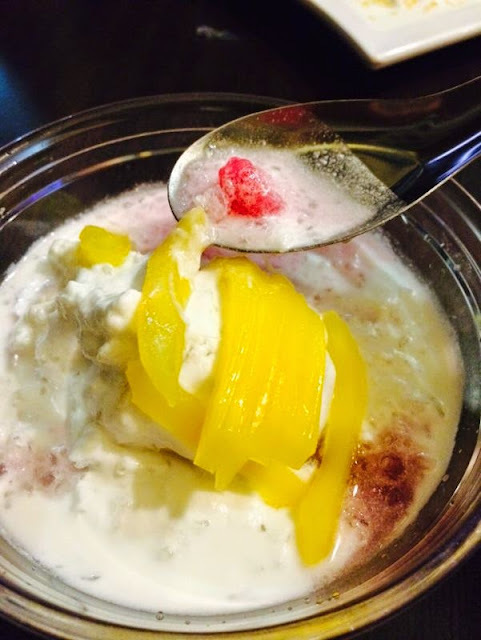 Chang Thai is a quaint Thai eating place in Bishan opened since Jan 2014. 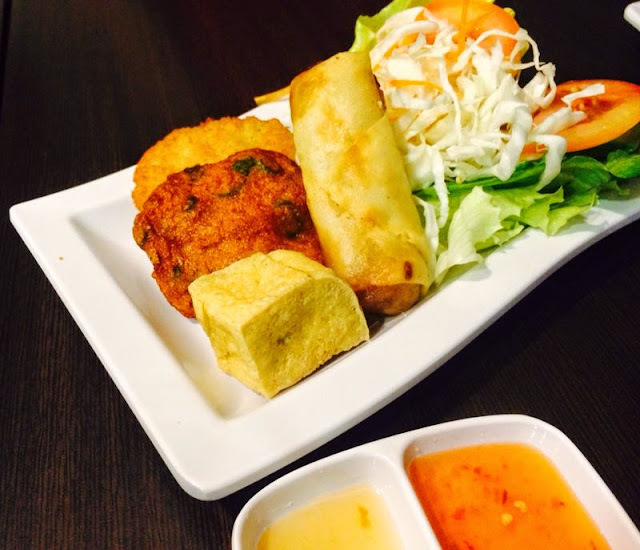 Founded by three friends who share a common love for authentic Thai food. Together with Chef Alex from Thailand who had a bountiful 30 years of cooking experience. He is only 42 years old now! 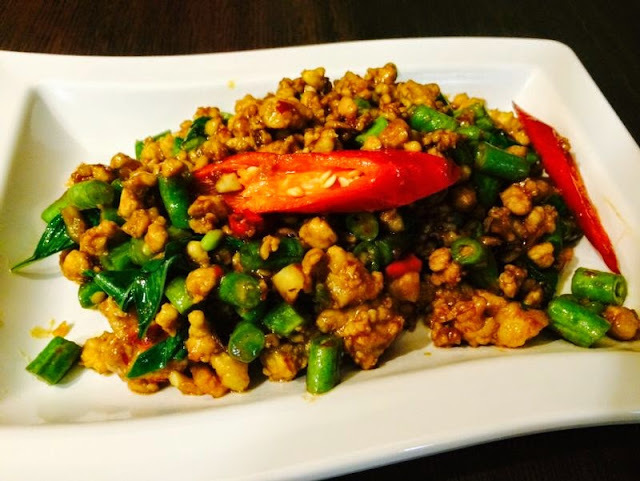 The team strongly believed in using the freshest ingredients to maintain the quality of food. I was looking forward to try their food upon receiving the invite. (from left to right) Chef Alex was camera shy. 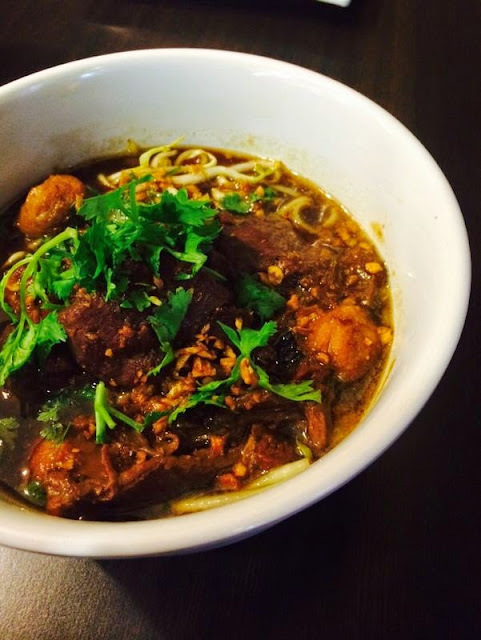 A simple Beef Noodle soup made with love. The beef were soft and tender. They were not hard or chewy. The beef balls! Oh yes, I took the chance to take a bite. They had no smell, simply tasted so good. I am liking beef balls now! 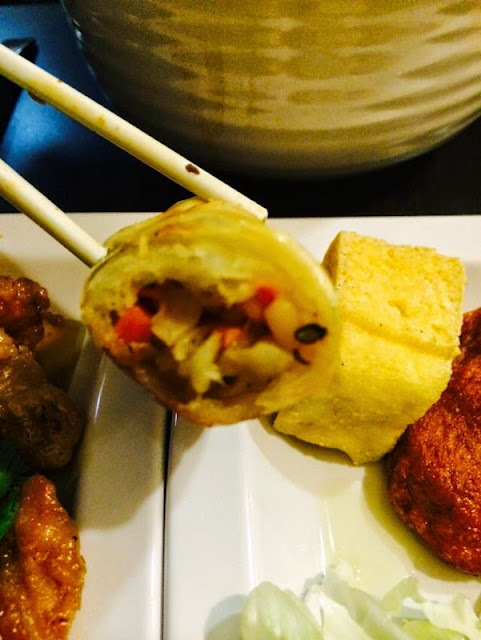 A combi of prawn cake, fish cake, toufu and spring roll. They were equally good. Freshly fried, did not feel oily at all! Chef Alex added Tao Suan to the spring roll fillings. That makes it even crunchier! Yums. Another delicacy. 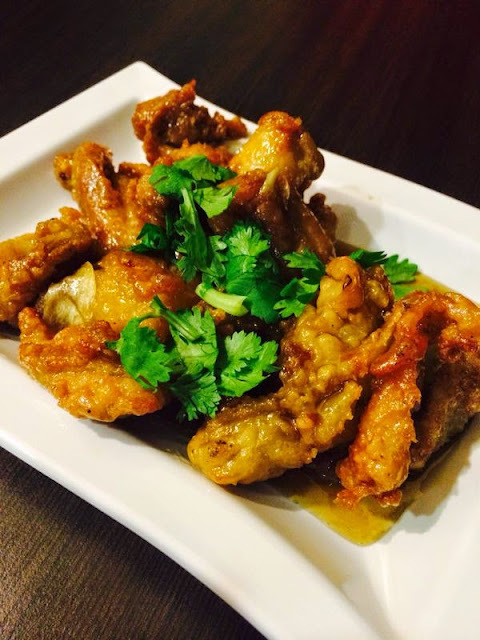 Honey-glaced Garlic Chicken. I love it at the first bite. Chicken pieces were tender. Honey and garlic was a great combination. Initially I thought thigh meat was used, hence for the tenderness. Chef Alex actually used Breast Meat! Oh wow that was amazing! 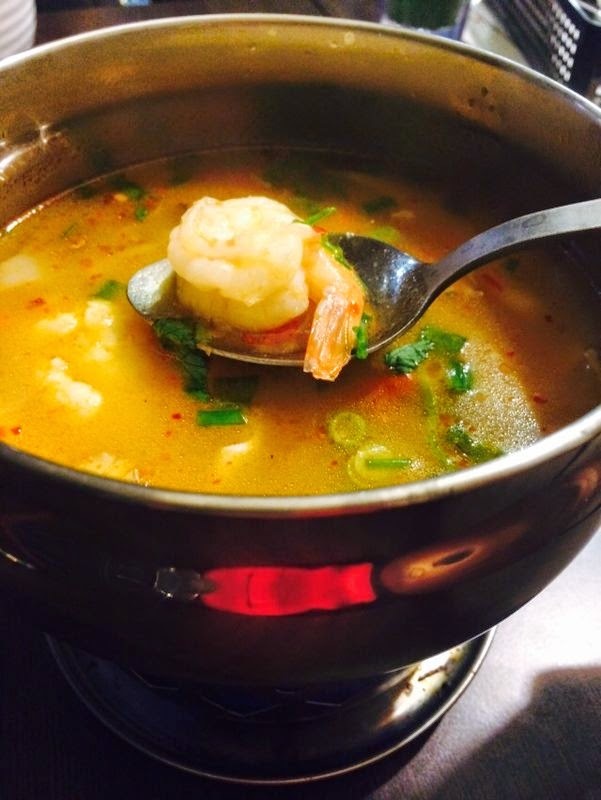 The Tom Yum seafood had just the right flavours. Not so spicy. Just felt like in Thailand now. The Fried Basil Pork was so mouth watering. Couldn't stop eating once started. Though I was already very full but how could I stop without trying their desserts! Jackfruit slices were spotted on the Red Ruby. 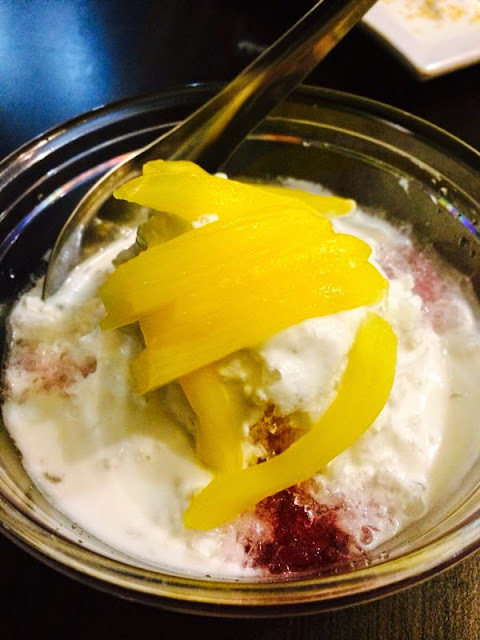 Surprisingly the jackfruit complements the rubies very well, not overpowering. The rubies were crunchy and not starchy at all. Mangoes used must be sweet or else they will not be served. That was how strict the bosses were on the quality of food. 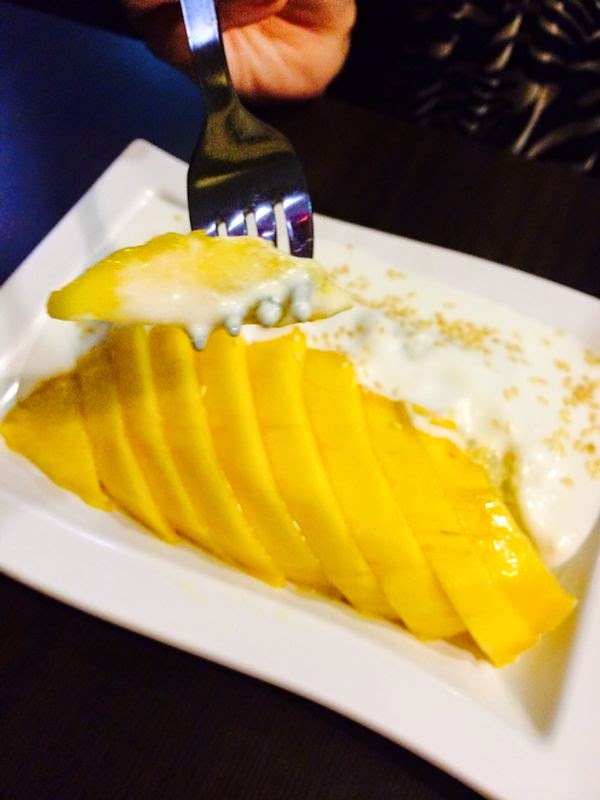 Fresh coconut milk was used for the Mango Sticky Rice. Slurps. Using freshly brewed Green Tea to mix with milk. 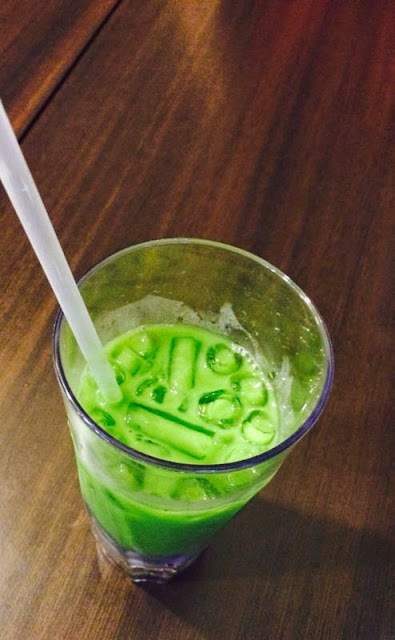 A refreshing drink on a hot, sweltering weather.